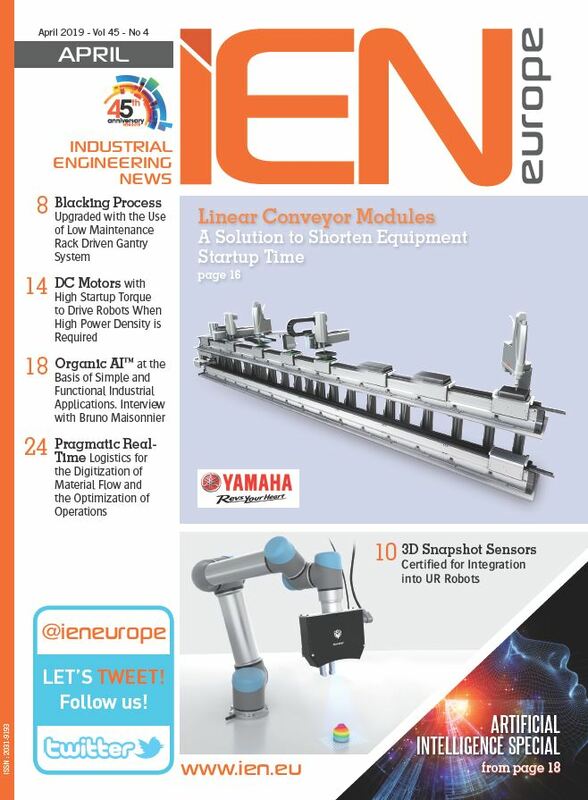 Using a simple non-contact radio link for collecting real-time torque signals, TorqSense Rotary Torque Sensors, offered by Sensor Technology, let machine builders and control engineers do away with slip rings. To set up this transducer, mounting the sensors and checking the radio connection are the only things needed. Electronics convert the data stream directly into engineering outputs, such as torque, speed, power and angle. 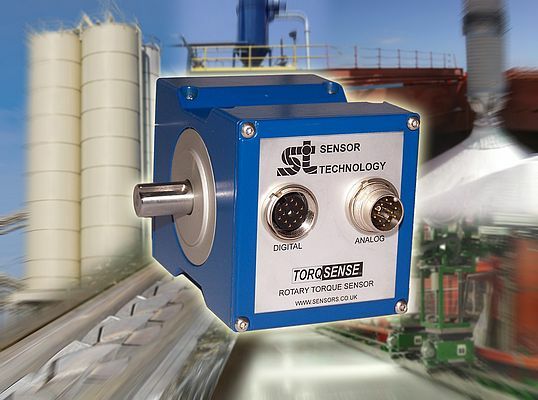 Serial and USB interfaces make TorqSense directly compatible with PCs and other user-friendly features include built-in peak torque sampling, storage and torque averaging, and a self-diagnostics test package. The electronics can be provided, integral with the main unit or in a separate housing, to suit individual applications. To achieve the non-contact operation, SAW (surface acoustic waves) devices are used as frequency-dependent strain gauges to measure the change in resonant frequency, caused by strain experienced in the driveshaft. This measurement is directly related to the torque experienced in the rotating machine element. In use, SAW devices are mounted onto the shaft and their output signals are transmitted by a low-power radio frequency (RF) coupled to an adjacent pick-up, which interprets the signals and converts them into a torque measurement readout or feeds them on into a PC for further calculation. In a SAW sensor, the surface waves are produced by passing an alternating voltage across the terminals of two interleaved comb-shaped arrays, laid onto one end of a piezoelectric substrate. A receiving array at the other end of the transducer converts the wave into an electric signal. The wave frequency is dependent upon the spacing of the teeth in the array and the direction of wave propagation is at right angles to the teeth. Therefore, any change in its length, caused by the dynamic forces of the shaft's rotation, alters the spacing of the teeth and hence the operating frequency. Tension in the transducer reduces the operating frequency while compression increases it. To measure the torque in a rotating shaft, two SAW sensors are bonded to a shaft at 45° to the axis of rotation. When the shaft is subjected to torque, a signal is produced, which is transmitted to the adjacent stationary pick-up via the capacitive RF couple comprising two discs, one of which rotates with the shaft, the other being static. The frequency of the oscillation used is typically 200MHz. The frequency-basis of the TorqSense concept gives a wide bandwidth and the susceptibility to electronic interference, common with other analogue-based techniques such as inductive devices, is eliminated.